I've been a musician all my life. Music is what I love. Whether I am playing in a band, DJing, or singing in the car, music is happening around me. Let me bring my passion for music to your important day. You will have the comfort of knowing that who you are working with is in it for the right reasons, not just to get a paycheck. This business is my baby... it's just me, and I ensure 100% client satisfaction. Perfect Pitch DJ Service, LLC is a professional business launched from a serious hobby, so it is the best of both worlds - high quality service meets fun - all at an affordable price! A Louisville, KY, native, I attended Seneca High School and the University of Louisville. I hold a Bachelors degree and a Masters degree in Psychology, have worked in Human Resources, College Teaching and Counseling, but most importantly - I LOVE MUSIC (and my beautiful wife of 10 years, Tonya, pictured right). As mentioned above, this business is my baby, and I take great care to make sure that my clients are satisfied and get everything they deserve. When your event goes well, we all win. Though a hobby for years, PPDJ was formed into a formal LLC in 2016. Business is steadily growing, and I am very proud of the accomplishments thus far! Perfect Pitch DJ Service, LLC is an accredited business by the Better Business Bureau (BBB) with an "A+" rating and is rated 5/5 stars on Facebook. PPDJ is fully insured, professional and affordable. I personally meet with every client in advance of their event to ensure all details are known and executed as desired. Contracts are written to give clients peace of mind about their big day. A $100 deposit will hold your date - regardless of the total price; the remaining balance is not due until the day of your event. 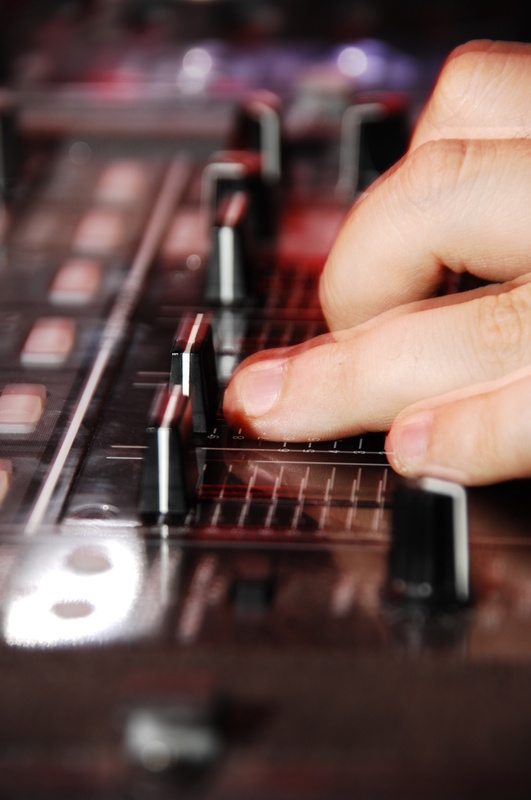 PPDJ works hard to deliver the highest quality DJ experience for an affordable price!